If your home is not on a public sewer system, you probably have a septic system to get rid of waste (anything that comes from bathtubs, toilets, sink, washing machines etc). When things aren’t working properly and the wastewater isn’t getting absorbed, this can cause a backup in the system which calls for professional septic tank pumping services in Mesa, AZ. The wastewater can contain bacteria and contaminants that will destroy your yard and are unsafe for your family and pets. 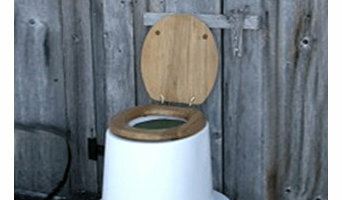 You can pump a septic tank yourself, but then you are responsible for safely storing and disposing of the contents you pump out, which is definitely not worth the hassle. 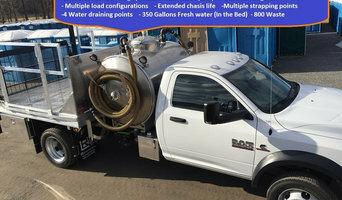 Before you have a smelly disaster on your hands, and an environmental nightmare, it’s best to call a Mesa, AZ septic pumping company to mitigate the situation. Everything that goes into your septic tank ends up in one of three layers: Solids form a layer on the bottom, liquids form a water layer in the middle, and oil and fat form a top layer. Not everything can be broken down by the bacteria living and working in the tank, so regular pumping is necessary to ensure the tank doesn’t get so full that it seeps into your home or yard. Septic tanks should be inspected annually and pumped every three to five years to avoid build-up that can clog the whole system. To nail down exactly how often your specific tank needs a pump-out, a local septic tank service in Mesa, AZ can help you calculate a schedule based on your household size and tank size. Don’t let them tell you that every tank, regardless of use and size, should be “pumped every year”, as this is likely only beneficial to their pocketbooks. Look for a pro who can also repair, or at least catch, potential problems before they get out of hand while they complete the septic pumping process. There are things you can do to prolong the amount of time you can go between a septic pump-out, such as not having a garbage disposal attached to the system and not putting anything down the toilet other than septic-safe toilet paper (not even “flushable” wipes)— you can even invest in a bidet to cut down on paper if you want. Also, invest in high-efficiency washing machines and toilets, which use less water; you’ll be happy when the next water bill shows up too! Even certain household products, like antibacterial soaps, detergents and water softeners can harm the biology of your septic tank and make it less effective, so if you have a concern it’s best to ask Mesa, AZ septic tank pumping companies in your area if the product is safe or not.